Bloomberg, TRT World, and the Local interviewed President Pavoncello on the constitutional referendum that took place in Italy on December 4, 2016. A week after the election of Donald Trump as President of the United States, JCU President Franco Pavoncello was invited to be a guest on Radio Radicale's "Spazio Transnazionale," a live radio program dedicated to international affairs. JCU Student Government organized an event to celebrate the United States’ elections on Tuesday, November 8, 2016. This was the last of several US election related events at the University including a voter registration initiative and a two-day absentee voting event, both in October. John Cabot University’s President Franco Pavoncello was asked by Reuters Press to comment on Prime Minister Matteo Renzi’s invitation to a formal state dinner at the White House. 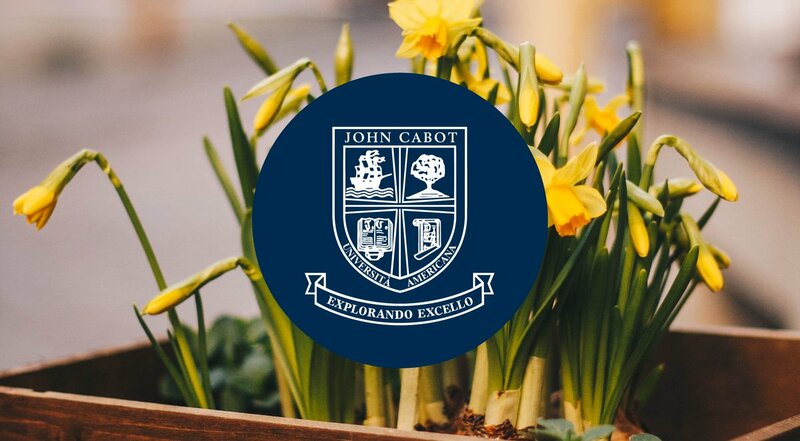 John Cabot University expresses its deepest sorrow for yesterday's heinous attack against our sister institution, the American University of Afghanistan. We send our most heartfelt condolences to President Mark English and the entire AUAF Community in this tragic and painful moment. President Franco Pavoncello and members of the John Cabot University community took part in a candlelight vigil and prayer service at the church of Santa Maria in Trastevere on the evening of July 7. Rome-based Italian daily newspaper Il Tempo interviewed John Cabot University President Franco Pavoncello in the aftermath of the death of visiting student Beau Solomon. A statement by John Cabot University President Franco Pavoncello appeared in several media outlets yesterday. The original statement was made in Italian and the translation that the English language press provided failed to capture the essence of President Pavoncello's words and misrepresented their spirit. John Cabot University is greatly saddened by the death of Beau Solomon, a visiting student from Wisconsin Madison. Our hearts go out to his family and friends, and we are committed to assisting the family in any way possible. John Cabot University is deeply saddened to announce that the body of Beau Solomon, the missing American visiting student, has been found in the Tiber River. We express our most heartfelt condolences to the Solomon family and to all those who loved Beau. John Cabot University President Franco Pavoncello was interviewed by The New York Times on how European leaders are dealing with the challenges posed by Britain's recent vote to leave the E.U. John Cabot University President Franco Pavoncello was asked by USA Today to comment on the victory of Virginia Raggi, Rome's first female mayor and a member of the Five Star political movement.